Aerospace Bristol, a heritage museum telling the story of the south wests’ aerospace industry, will open in Bristol next summer and will include a dedicated learning centre for school groups. The centre in Filton will look at the past, present and future of Bristol’s aerospace industry and will showcase British innovation, design and engineering in a display of artefacts spanning over 100 years of aviation history. 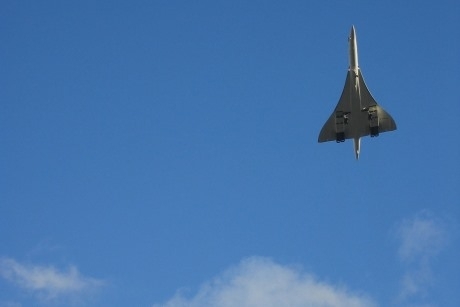 The centrepiece of the museum will be the last Concorde that was built and flown, Concorde 216. The centre will also include its learning centre, exhibition galleries, an archive store, a reading room, a 150 seat lecture theatre, picnic areas, a café and a shop. As well as exploring the stories of design and engineering, Aerospace Bristol will also detail the social history of those who worked in the aerospace industry and the communities which have grown up around it. The collections will include Bristol built aircraft, including Bristol Scout, Bristol Fighter and a Blenheim IV, as well as Concorde 2016 and a number of scaled models. Concorde 216 was designed, built and tested in Bristol. It made its first flight from Filton on 14th December 1979 before it returned to its ‘home’ from London Heathrow on 26th November 2003, which was the final flight by a Concorde. The average speed of a Concorde was said to be 1,320 mph, with a typical take off speed of 250 mph. School groups planning a visit to Aerospace Bristol when it opens can expect a practical learning programme, which will encourage students to explore Bristol’s local history, develop STEM skills and discover the possibilities of a career in engineering. For more information visit www.aerospacebristol.org.